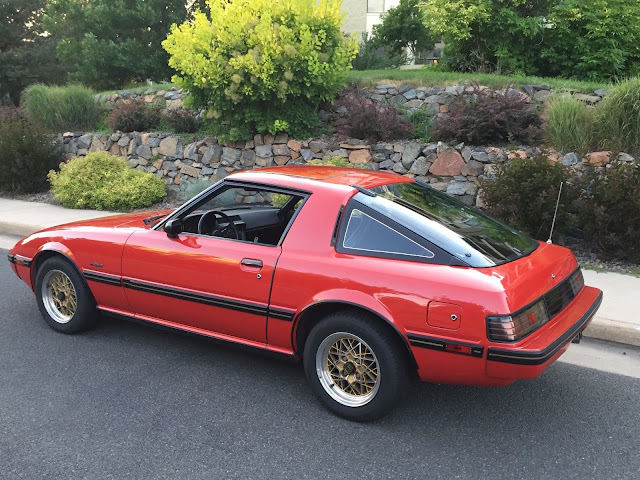 Mazda introduced their furiously spinning rotary engine to the automotive world in the 1960s and had a pretty decent product by the 1980s. Sure, they consumed fuel like a V6 and put out torque like an inline-4...but they were smoother than purin custard pudding. Find this 1982 Mazda RX-7 offered here on eBay for $9,200 buy-it-now or make-offer in Aurora, CO. This post is part of DT's 2016 Birthday Celebration of 100 cars; enjoy the ride! 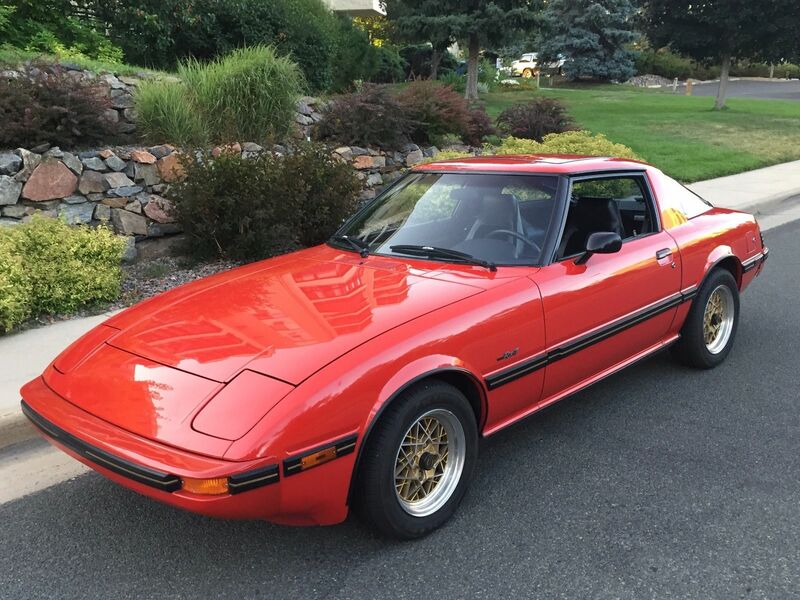 Once you recover from the sticker shock of someone asking almost 10k for a first generation RX-7 GS...you've got to admit that this is one of the nicer examples you've ever seen. With 46,900 pampered miles on the odometer, the next owner will get the honor of rebuilding the apex seals, but that shouldn't dissuade you from owning a piece of Zoom-Zoom history.